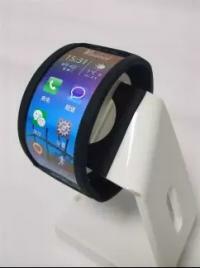 Visionox demonstrated several new flexible OLED prototypes and technologies at a Trade Show in China. 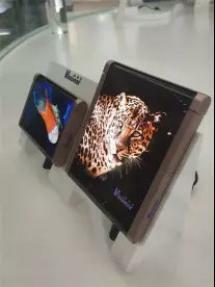 First up is the 7.2" foldable AMOLED display you see below. Last month we reported that Visionox developed this display, which can withstand over 200,000 cycles. Visionox also demonstrated a 3.35" flexible AMOLED, an OLED with an fingerprint sensor under-the-display, a flexible silver-nanowire based touch panel and the company's 6.21" notch-type smartphone display.